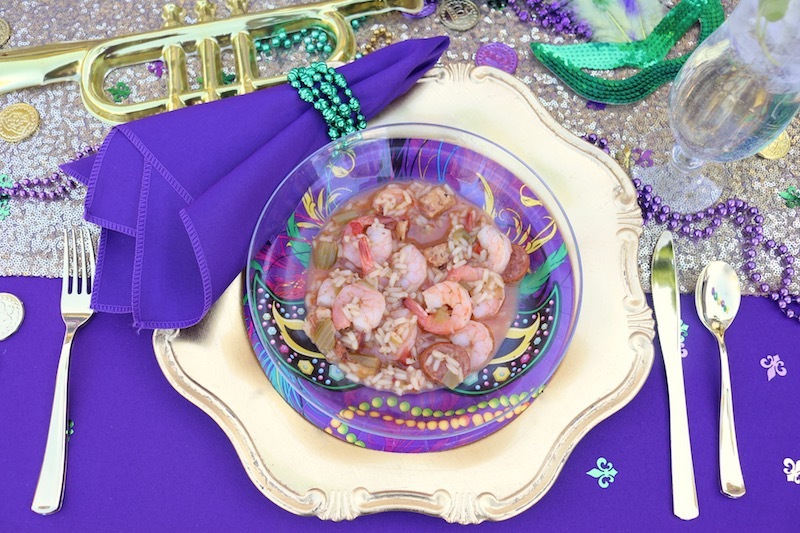 Bring pieces of New Orleans into your home and celebrate Mardi Gras in style! You can easily transform your space with a Louisiana inspired Rendezvous Building Set. 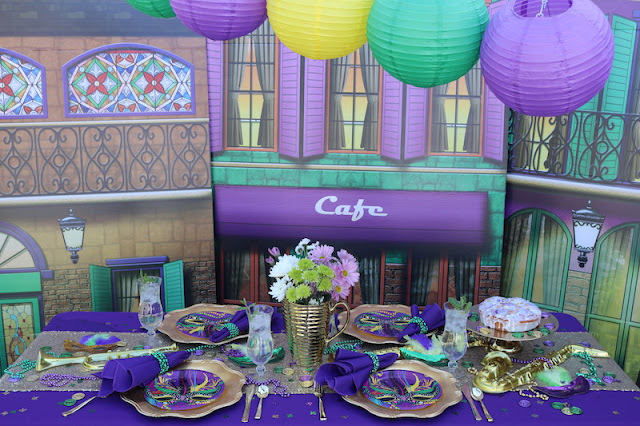 Create a bold and festive party atmosphere by using colors of purple, green and gold! 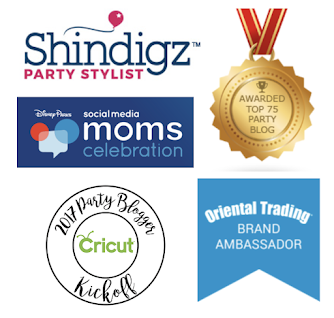 Shindigz has everything you need - you can check out our post, here! Create an inviting table scape that will have your guests feeling festive. 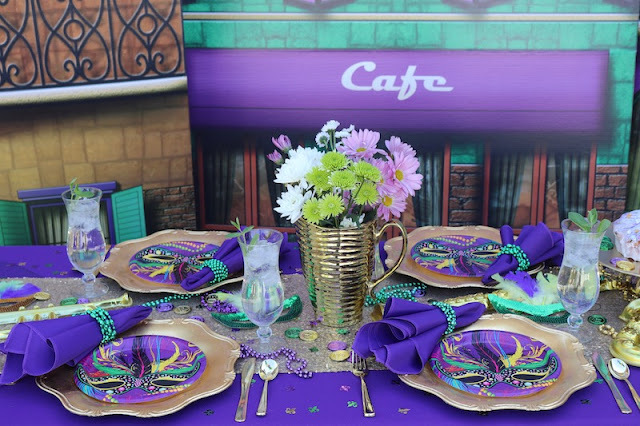 Add a Purple Tablecloth and a sparkly Gold Sequin Table Runner and add decor that will have your guests ready to celebrate. 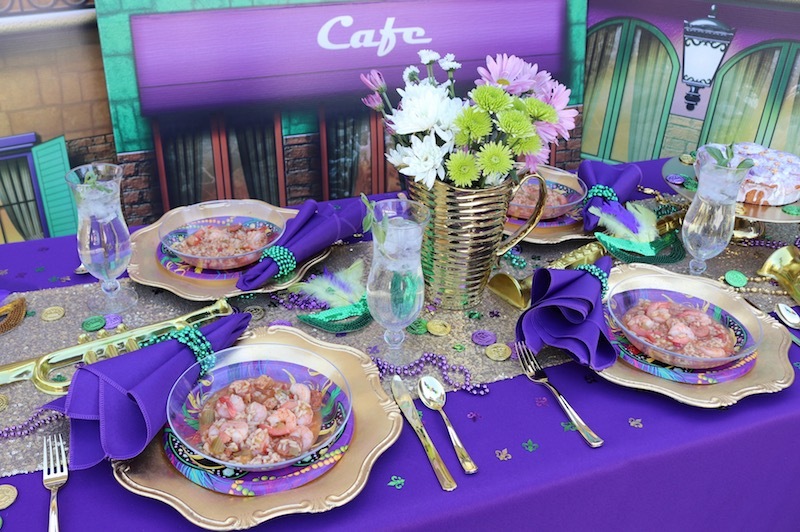 Gold chargers will help the Mardi Gras Mask Plates pop! 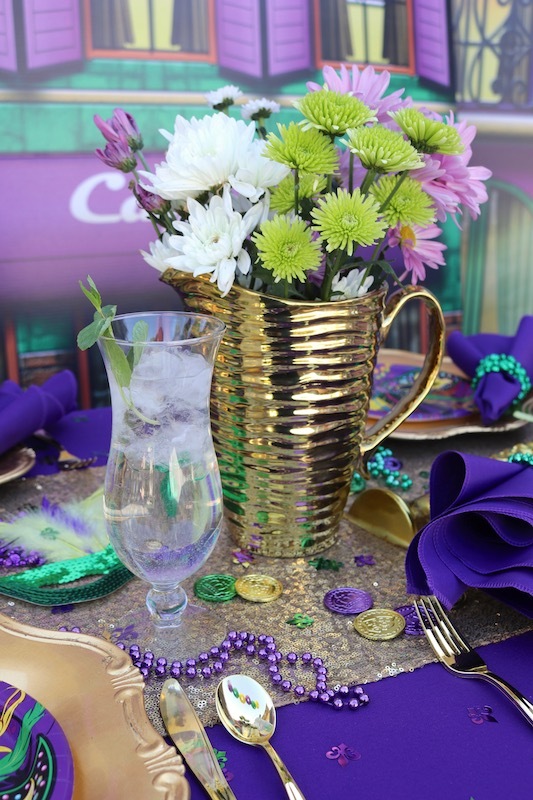 Add Gold Cutlery and Purple Polyester Napkins tied with some of the bead necklaces. Using fresh flowers as a centerpiece is an easy way to add color to any table. 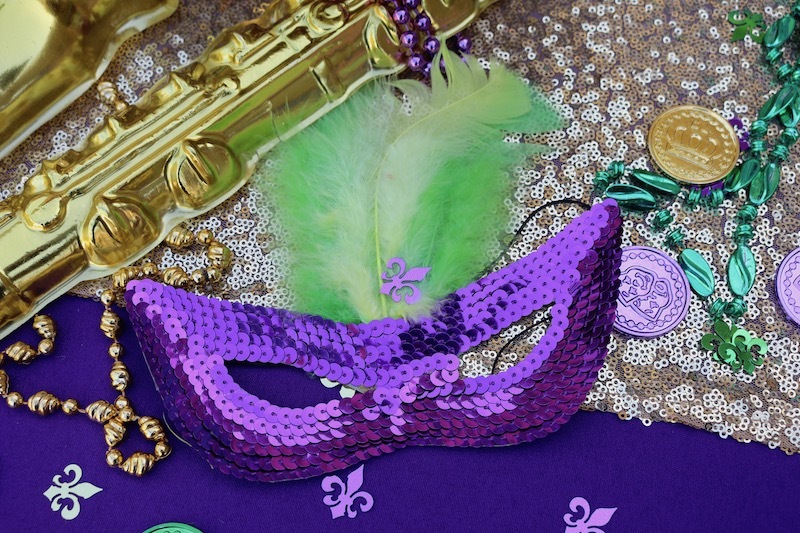 A Mardi Gras celebration wouldn't be complete without shimmery Beads, Toss Coins and pretty Mardi Gras Masks! 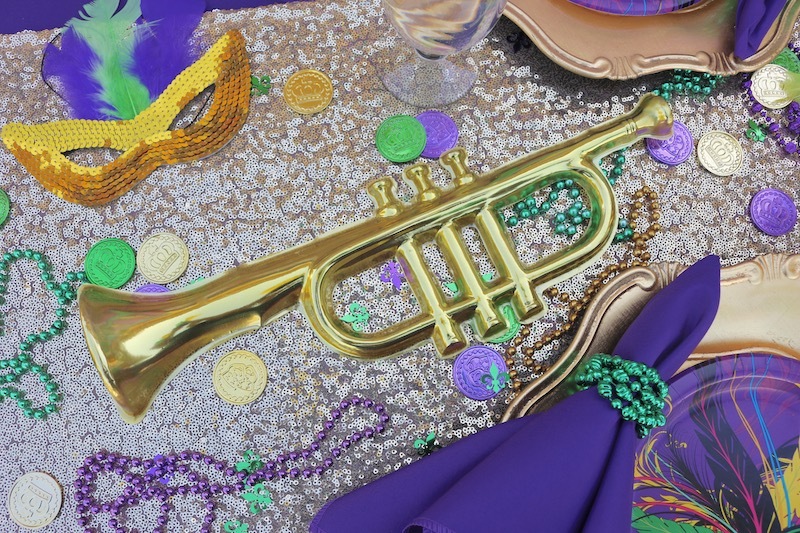 Music is a huge part of Mardi Gras in Louisiana so I incorporated Gold Musical Instruments as part of the table scape. 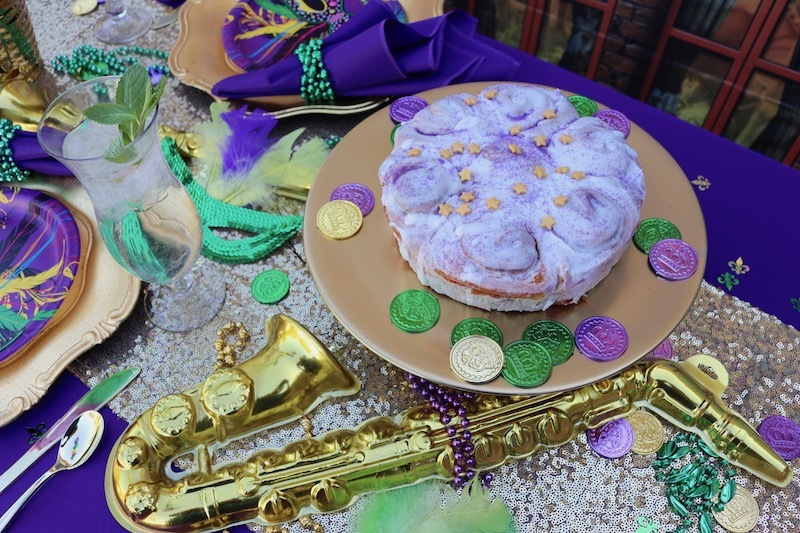 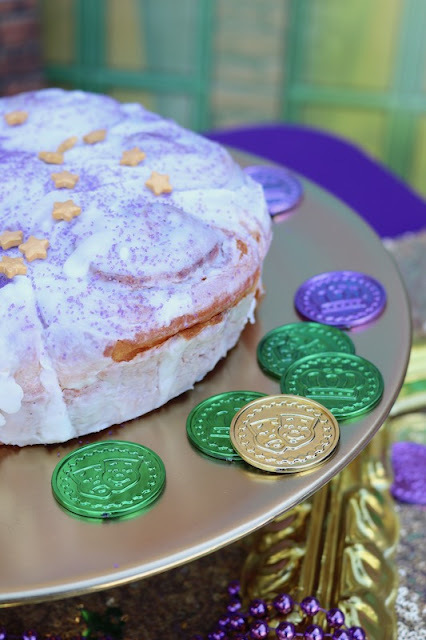 King Cakes are a staple for every Mardi Gras celebration! 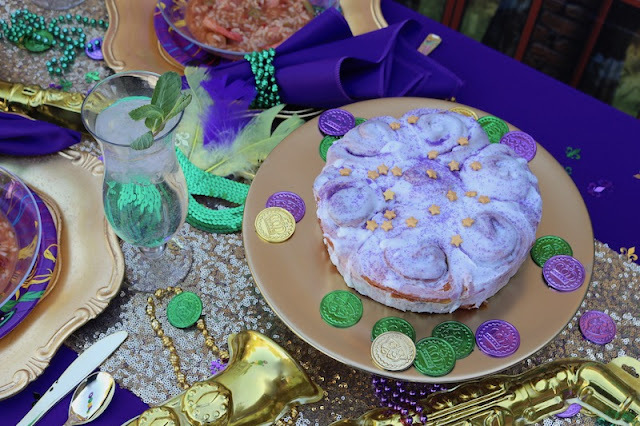 I purchased a store-bought cinnamon roll cake and decorated it myself. 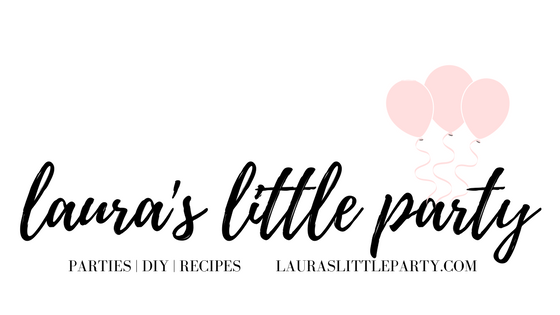 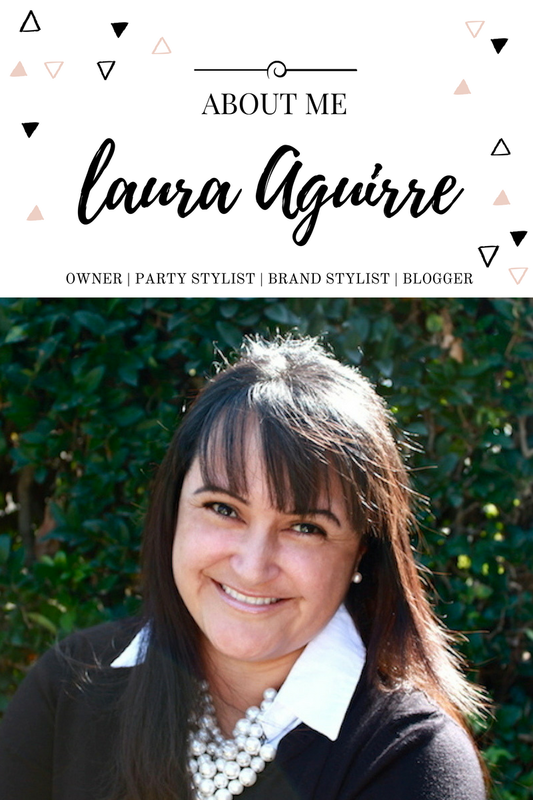 You can also find an easy to follow recipe from our site, right here! 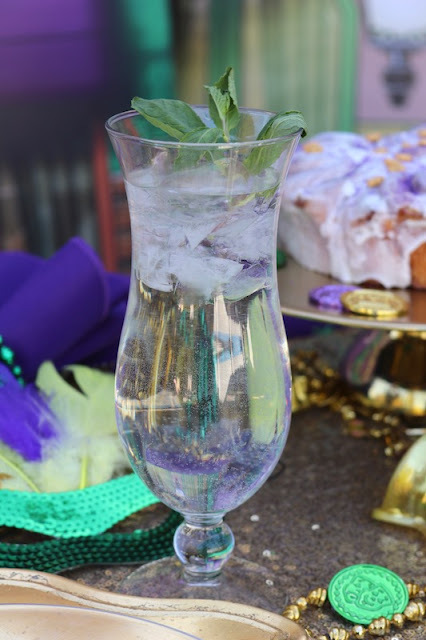 Serve your guests a mint-infused spritzer inside Hurricane Glasses! This refreshing sip pairs perfectly with a bowl of delicious sausage and shrimp gumbo. 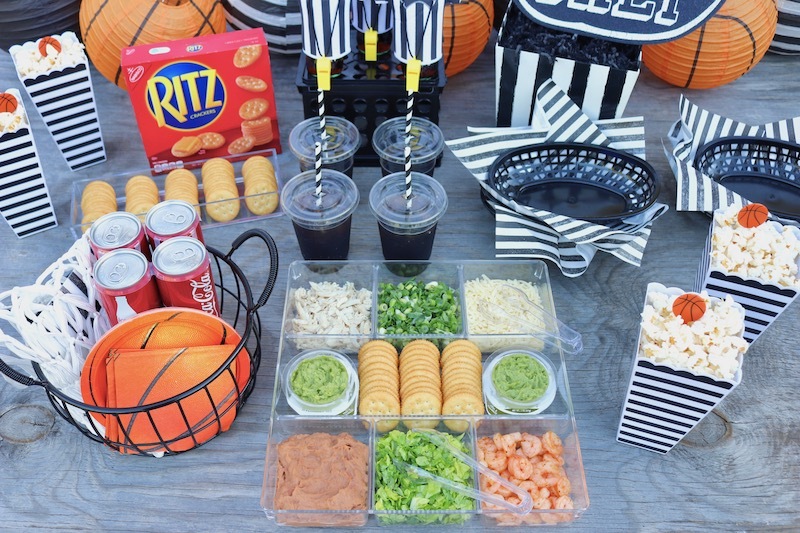 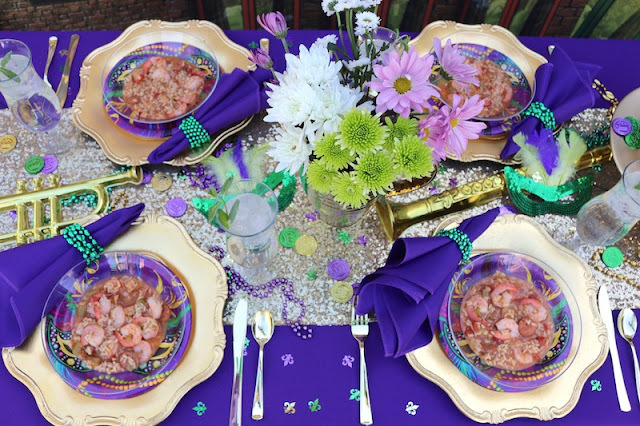 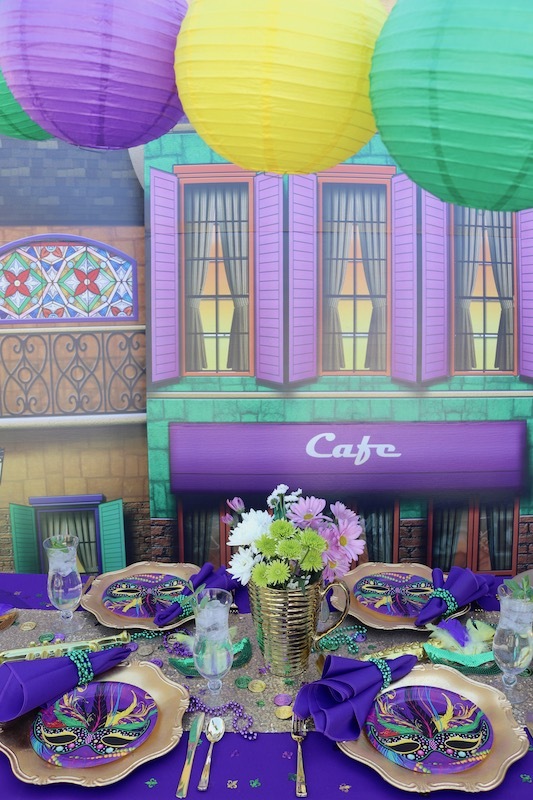 Enjoy Mardi Gras with a fun celebration and create an event that your friends will love!